The Block Download is after Pat Tells you about the book down below. I have two younger brothers, and my ability to read years before them, meant I was often the one reading the books. I took a walk down memory lane, enhanced by a conversation with my mom & brothers on which books they remember. My very youngest brother loved the ‘Curious George’ series so those are my February inspiration! Since it had been a long time since I’d opened a Curious George book, I took a look online to see what was new in the life of George. Did you know that in 2016 Curious George celebrated 75 years? I had no idea these beloved stories had been around that long. At the website I saw a free audio download, games, teacher guides, and a list of the "best sellers." 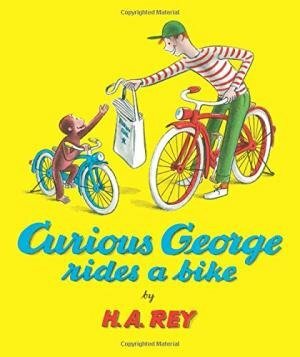 The book I remember reading to my youngest brother is Curious George Rides a Bike. Which one do you remember or which are you STILL reading to kids now? Visit the Curious George website for more fun! Get a Look at Another Version! Come see a 2nd version of the block I did at my website and enter your quilt in the Quilt show! This year I’m introducing you to shops each month. So once you download the block, visit them! Shop Feature: Cotton Boll Quilting, Inc.
"Carla and I are sisters, two of twelve children, who grew up with a mother who loved to sew. Since her high school days, mom enjoyed making baby quilts, and as we came along, she made all our clothes until we were old enough to sew our own. She was also a seamstress for the local Community Theater group.Our father was a physician who's offtime hobbies included part-time farmer, electrician, wine maker and horse farrier. Through him we learned how to be successful in running our own business. Mom worked at the clinic my dad shared with his brother in Cullman, Alabama for over twenty-years, continuing on even after my dad passed away. Then after retiring, she took up quilting again. Owner Karen Stephens has created a cozy slice of heaven at the Speckled Hen Quilts in Aurora Oregon. They Specialize in 1800's reproduction fabrics as well as late 20's early, 30's collections created by shop owner & designer Karen Stephens. If you keep your Quilt Sampler magazines, the Speckled Hen Quilts was featured as a TOP TEN SHOP in 2007 American Patchwork & Quilting, Quilt Sampler Magazine! 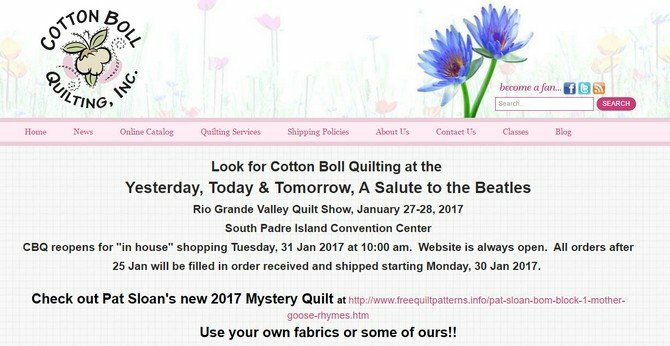 Read more about Karen’s shop that has been in business for 27 years at her website! Are you ready to sew with me this year? Which Curious George book do you remember, or which are you reading to your kids or grandkids now?